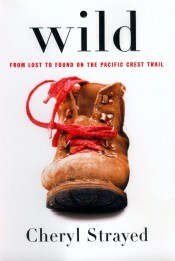 Overview (no spoilers): Strayed openly and honestly details her journey of self-healing during her trek of the Pacific Crest Trail (PCT) in Wild. While personally, I struggled to connect with her troubles, disposition, and brushing off continual annoyance of her many, many mistakes, I found my respect growing immensely for her by the end of her hike. Haunted by several events of her past, the solitude of the trail allowed her to slowly heal her many wounds and emerge from the trek ready to take back her life. Had I endured the same suffering in which she prevailed on the PCT, I doubt I would have lasted a few days, let alone months. Upon finishing the book a contemplation of my own life followed, with the hope my life will hold a comparable adventure. Did Cheryl’s feet ever recover? Will I fall apart when my mother passes away? Of anyone in the story I feel the worst for Paul. He appeared to be ever supportive and loving to Cheryl despite her infidelities and drug abuse. I had a terrible time fathoming Cheryl’s siblings’ response to their mother having cancer. How could they abandon her during such a terrible time? The most important question of all: Who took the extra condoms? This is a book that I have recently considered reading. I might put this on a higher priority now. I hope you enjoy Wild more than I did. I really didn’t enjoy the main character at all.